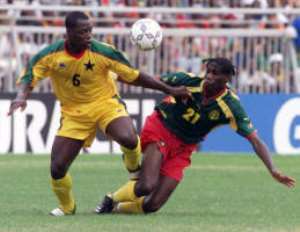 Former Black Stars midfielder, Mohammed Gargo is working towards a return to the national team. The player who is renowned for his power laden long range shots, experienced a nose-dive in his professional career after his long spell at Serie A side, Udinese, hit the rocky patch two seasons ago. Gargo now plays for Serie B side, Genoa, who are raring for a shot at Serie A action next season. He told JoyFM that Genoa has presented a good opportunity to relaunch his career and eventually earn a call up to the Black Stars.